Most Americans know someone who has struggled to get needed care approved by his/her health insurance provider. As a result, many feel forced to choose between medical care and other essentials. A survey conducted by a national network of food banks found almost 2/3 of client households faced the unenviable choice between food and medical care costs in the past year. Both private insurance and government programs should help prevent such dilemmas, especially among the elderly, the disabled, and current/former military members. Denial of legitimate claims and the parallel issue of high medical bills are another cost of health care fraud. 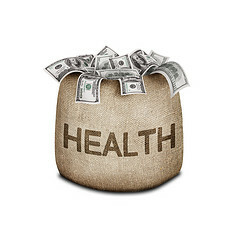 When individuals and groups bill for unneeded care, they waste limited resources and make honest claims look suspect. This is yet another reason our San Francisco health care fraud law firm is part of the fight against fraud. While Dignity maintains a denial of liability, the settlement resolves allegations against 13 network hospitals. According to the government, between 2006 and 2010, the hospitals overcharged Medicare and Tricare (a military health care program) by billing for more expensive inpatient care for elective cardiovascular procedures where less costly outpatient surgeries were more medically appropriate. Per the press release, this practice “can result in substantial financial harm to federal health care programs.” Similar allegations involved billing for inpatient care when less expensive outpatient services were appropriate for spinal procedures (2000-2008) and general care (2006-2013). Special Agent Ivan Negroni, with the Health and Human Service’s Office of the Inspector General’s San Francisco office, voiced a commitment to holding hospitals accountable when they use unnecessary inpatient stays to boost company profits. He adds, “Both patients and taxpayers deserve to have medical decisions made solely on what is best for the patient based on medical necessity.” In addition to diverting limited funds, inflated billings cast doubt over all claims, including genuine claims. This is one reason it can be hard to obtain coverage for needed medical care. In our nation, in this day and age, people should not die awaiting medical care…but they do. Health care fraud is one reason for this tragic reality; it diverts needed funds and renders every claim suspect. We believe that within every company that commits fraud there is at least one person who values truth and the health of our nation more than s/he values ill-gotten profits. If you are this person and you’ve witnessed health care fraud in California, our Northern California whistleblowers’ law firm would be proud to work with you. Call to arrange a no-obligation consultation.